Fleurette Yvonne Rolley, 87, passed away Saturday, October 27, 2018 at the Adirondack Medical Center in Saranac Lake. Born August 30, 1931 in Tupper Lake, she was the daughter of John and Pauline (Maheu) LaForest. Fleurette grew up in Tupper Lake and graduated high school in 1948. On October 15, 1955 she married Eric Rolley. He pre-deceased her on August 25, 2005. She was very much active in her community, she volunteered in many service organizations, most recently as president of the Tupper Lake Heritage Museum. She is survived by many nieces and nephews and cousins. She will be greatly missed by all, and will always carry her memory in our hearts. She was pre-deceased by her parents, husband and brother John Paul LaForest. Calling hours are scheduled for Friday, November 2, from noon to 1:45p.m. at the Stuart-Fortune-Keough funeral home. A Mass of Christian burial will follow at 2p.m. at St. Alphonsus church. Burial will be in Holy Name cemetery. In lieu of flowers, memorials may be made to the Tupper Lake Heritage Museum. 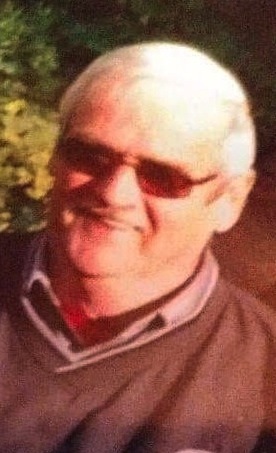 Gregory T Clark, 68, of Tupper Lake, passed away Saturday, October 20, 2018 at his home. Born October 14, 1950 in Saint Johns, New Brunswick, Canada, he was the son of Eugene and Marion Clark. Greg moved to Tupper Lake in 1959 and grew up in the French Village and graduated from Tupper High in 1970. On July 3, 1971 he married Deborah Amell in Tupper Lake. They relocated to Lyons, N.Y. where he worked at BE Wright and Xerox Corporation. They returned to Tupper Lake in 1990 where he worked for OWD Inc. and then the family business, Tyler's Pizzeria. 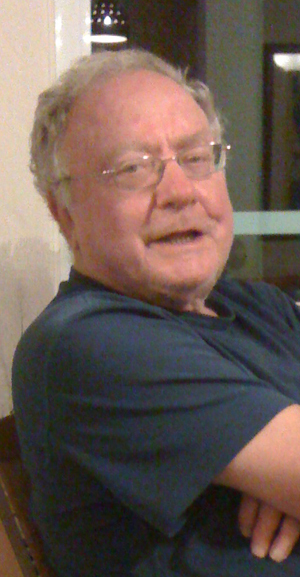 He enjoyed bowling, camping, woodworking and spending time with family and especially grandkids. He was a friend to all. He is survived by his wife Deborah, two sons; Michael and David Clark, grandsons Tyler, Brendan and Peyton, granddaughter Allysha Connor, great-granddaughter Aria Rose Skiff, a sister Lynn (Dave) Aitliff, one brother Rodney (Crystal) Clark and a sister in law Joanne Clark. He was pre-deceased by his parents, one sister Diane McCormick and one brother, Gary Clark. Greg's wishes where no funeral services. A celebration of his life is scheduled for 5pm, Saturday, October 27 at the Lakeview Lanes in Tupper Lake. Judy Boudreau (Safford) a resident of Long Lake, born February 24, 1942 in Yonkers, NY, died on August 19, 2018 age 76 in Saranac Lake Medical Center surrounded by family and friends. She is survived by her brother, Doug, and husband Scott. Judy was a spunky woman with a big personality and great love of critters, especially Kid, Butter and Ink. Arey Bradford Golding Sr. went to be with the Lord on October 8, 2018 at the age of 100 plus, surrounded by his loving family. Born December 6, 1917 in Danforth, Maine, he was the son of Bradford and Goldie Golding. He enjoyed hunting, fishing, bowling, Sunday dinners, berry picking, and doing things with his cousin Chick. He entered the Army in 1941 and was a World WarII vet being discharged in 1947. He worked in Maine and moved to Wingdale, New York working in Harlem Valley Psych Center. He also worked a second job Hunts Country Furniture retiring in 1981 and moved back to his hometown of Danforth. He is a lifelong member of American Legion Post 45 of Danforth and a lifelong member of VFW in Mattawamkeag. He was also a member of local Grange. He is survived by his second wife Elizabeth Golding of Danforth, ME., sons Arey Golding Jr. (Ruth) Smyrna Mills, ME, John Golding Sr. (Ellie] Craryville, N.Y., daughters, Elizabeth Brill of Poultney, VT., Sally Price (Bill) Tupper Lake, step sons, Fred Gillis (Joy) of Danforth, Barry Gillis (Carrie) of Danforth; nine grandchildren, eight step grandchildren, 22 great grandchildren, seven step great grandchildren, a sister, Mary Irish of Houlton, several nieces and nephews. He was predeceased by his parents Bradford and Goldie Golding, his wife and mother of his children Beatrice Brennan, sisters Phillis Springer, Evelyn Harriman and Charlotte Wright, grandson John Golding Jr., son-in-law, Robert Brill and step daughter Paula Remury. In lieu of flowers please consider donations to the American Legion 45 of Danforth. Graveside services will be held on Saturday, October 20, at Hilltop Cemetery, Danforth Maine at 1p.m. A celebration of life will be held immediately after the service at the American Legion Hall. Harriet May Cheney passed away peacefully Tuesday, October 16, 2018 at Mercy Living Center in Tupper Lake, NY with her daughter Linda by her side. Harriet was born on July 9, 1934 to Loren and Keturah (LaDue) Cheney. She married Darwin Cheney (not related) on October 2, 1955. They had three children, sons Mike and Steve Cheney and daughter Linda (Cheney) Pickering. Harriet worked as a telephone operator after graduating high school and then a stay at home mom until her children were teenagers. During the 1980 Olympics she had the opportunity to once again work as an operator during the games. She then went to work for Joseph Denis at Sears & Roebuck. She also worked at Key Bank then as a home health aide. She worked as a foster grandparent at the LP Quinn Elementary school where she was known to the children as “Mim”. She loved it and they all loved her. Harriet was an avid bowler in the 70’s with teams Cigar McSween’s, The Waukesha and Canali’s Restaurant and later with the Seniors. She was a member of the United Community Church, Moose Lodge and the Red Hats. Harriet is survived by her son Mike & wife Heidi Cheney of Tupper Lake, NY, son Steve Cheney of Holden Beach, NC and daughter Linda (Cheney) Pickering & husband Neil Pickering of Piercefield, NY, 6 Grandchildren, 8 Great-grandchildren with 2 more on the way, brothers Watson & wife Joyce Cheney of AZ and Gerald & wife Sharon Cheney of Green Pond, NY and FL. Harriet was pre-deceased by her parents Loren and Keturah (LaDue) Cheney, Her husband Darwin Cheney and a brother Loren Cheney, Jr. Calling hours are scheduled for Friday, October 19 from 2 - 4 pm at the Stuart-Fortune-Keough funeral home. A service will follow at 4pm at the funeral home. Burial will be in Gale Cemetery. Timothy Rouselle, 51, of Lebanon, Maine passed away unexpectedly on Tuesday, October 2, 2018 at his home. Born December 14, 1967, he was the son of Bill and Bonnie Rouselle. Tim loved to hunt and fish. He loved being outdoors. 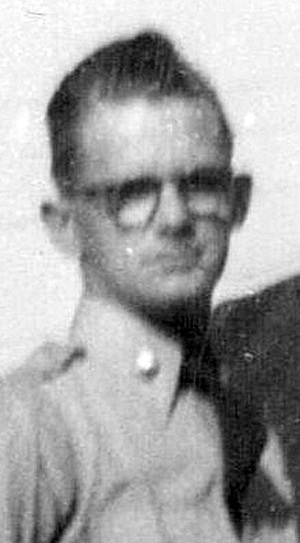 Timothy is survived by his parents Bill and Bonnie Rouselle of Childwold; three children- Faith and her husband Dennis Kusek, Taylor Rouselle and his companion Jeri Kephart of Nebraska, Destiny Rouselle and her companion Bobby Simmons of Tupper Lake, one brother Craig Rouselle of Lebanon Maine, two nieces- Courtney Rouselle of Maine, Kate and her husband Josh Cassell, one great nephew Wyatt Cassell of Tupper Lake, one nephew Andrew Rouselle of Maine, eight grandchildren with one on the way and many aunts uncles and cousins. Marvin E. Madore, 80, passed away Monday, October 8, 2018 at the Adirondack Medical Center in Saranac Lake. Born June 15, 1938 in Tupper Lake, he was the son of Edgar and Alice (Gokey) Madore. He was the oldest of five siblings. A sister Theresa pre-deceased him at her age of 16 months. Marvin started his education at Holy Ghost Academy and went on to seminary at Wadhams Hall for the priesthood. After graduation, he went on to St. Bonaventure, finding he did not have the calling for priesthood. He dropped out, moved to Newburgh and started a landscaping business and also worked for an Insurance company. He then went on to banking where he became very successful. At one time he was president of a bank and awarded many accolades from friends and peers in the business for his skill, helpfulness, guidance and knowledge about the banking industry. Marvin was a veteran of the U.S. Army and had witnessed many disasters. He was a military policeman and served in South Korea and Santo Domingo and also at the Martin Luther King riots. Marvin returned to Tupper Lake in 1999 and bought his dream house- the Moody sisters' long time residence. Marvin took ill 12 years ago and fought a good fight with everything he had. Nancy his wife of 56 years was beside him and worked side by side with him. He was active in the Tupper Lake community, serving on the village board for several terms and as a member of the Rotary Club. Marvin and Nancy have one son Michael and his wife Christina of Maryland. Marvin was pre-deceased by his parents, sisters, Theresa and Tammy and a brother Edgar (Butch) Jr. He is survived by his wife Nancy, sisters Rita Madore of Windsor, VT and Mary Servant and her husband Edward of Hartland, VT, and several nieces and nephews. There will be no calling hours. A graveside service is scheduled for today, October 10 at 11a.m. at St. Alphonsus cemetery. A Mass will be announced at a later date at St. Alphonsus church. Walter M Zurawski,92, passed away, Friday, September 28, 2018 at Mercy Living Center, where he had resided the past two years. Born in Tupper Lake, June 6, 1926, to Walter and Helena Zurawski he was the youngest of three children. He graduated from Tupper Lake High School in 1944. One of his proudest achievement was being a member of the undefeated 1944 football team. He was offered a contract with the Washington Redskins Football team but turned it down to attend Canton ATI to further his education. He served in the U. S. Army during the Korean War but never left the states. After being discharged he drove trucks for many local companies as well as being an independent contractor. Walter was known by many names to the locals: Sammy, Sonny, or just Walt. He enjoyed hunting, fishing, boating on the Raquette, canoe trips and snowmobiling. He ran the Sunmount Grill for many years with his sister Irene from their father's death until she moved away. Sonny always had a dog or two, mostly German shepherds or cocker spaniels. In the early 2000's his dear friend Irene got a dog named "Tiny.” The three of them would cruise the highways and backroads of the Adirondacks every Sunday. After Irene passed "Tiny" became Sonny's "watchdog.” For many years she tagged along on his daily walks and lastly riding in the basket of his mobility scooter when he could no longer walk. He was preceded in death by his parents, sisters, Irene Fedor and Helen Nowak, his companion of many years, Irene Mayotte and two nephews, Tim Nowak and Peter Haught. Mass of Christian burial will be celebrated at noon, Monday, October 8 at St. Alphonsus church. Burial will follow in the parish cemetery. Janice "Jan" Elizabeth Hunt, 85, of Long Lake died Saturday, September 22, quite unexpectedly after a fall. Jan was born in Lake Placid on April 5, 1933 to Genevieve (Gorrow) and Joshua Peck and married Dennis Patterson Hunt on September 30th, 1950. They were married nearly 62 years when he pre-deceased her March 7, 2012. Jan attended high school in Lake Placid where she lived with her parents and seven siblings who have all pre-deceased her. She prioritized being a mother to her 13 children, though she did occasionally work outside the home. As her younger children were growing, she did work for a time as a teacher's aide at Long Lake Central School and then worked as a developmental aide for the Sunmount residential houses in Long Lake from 1989 until she retired in 2008. She was actively involved in her church and was very devoted to the Catholic Faith and the Virgin Mary. Jan's biggest joy was family. She loved being a mom and was a very devoted Grandma. She is a family legend for her knitting and crocheting, sewing, jelly- making and baking, especially her homemade rolls. She was ever engaged in some sort of project from wood burning to pouring a patio; she did it all! She is pre-deceased by her eldest son Donald Hunt, April 14th, 2018, which broke her heart. She will be greatly missed by her surviving children: Jennifer Sabattis, Rebecca Moore (Lee), Mary Foote (Steve), Catherine Hunt, Susan Gano (Tim), David Hunt (Sheryl), James Hunt (Laura), Dennis Hunt Jr.(Vicki), Jan Hunt, Therese Hunt, Thomas Hunt, Jacinta Bickford and her 33 grandchildren and a passel of great grandchildren, her family legacy and her largest source of pride. Calling hours are scheduled at the St. Henry's parish hall in Long Lake on Friday, September 28th from 4p.m. to 6p.m. A Mass of Christian burial will be celebrated on Saturday at 11a.m. at St. Henry's church. Friends and neighbors may gather at her family home at 129 Kickerville Rd. after interment. Donations may be made in her name to the Long Lake Rescue Squad in Lieu of flowers. Carl Rene Perth, age 73, passed away on Sunday, September 16 at the University of Vermont Medical Center with his family by his side. Having lived in Tupper Lake most of his life, he was an avid outdoorsman with a love for camping, hunting and fishing. He had a passion for building and working on trucks of all sizes. 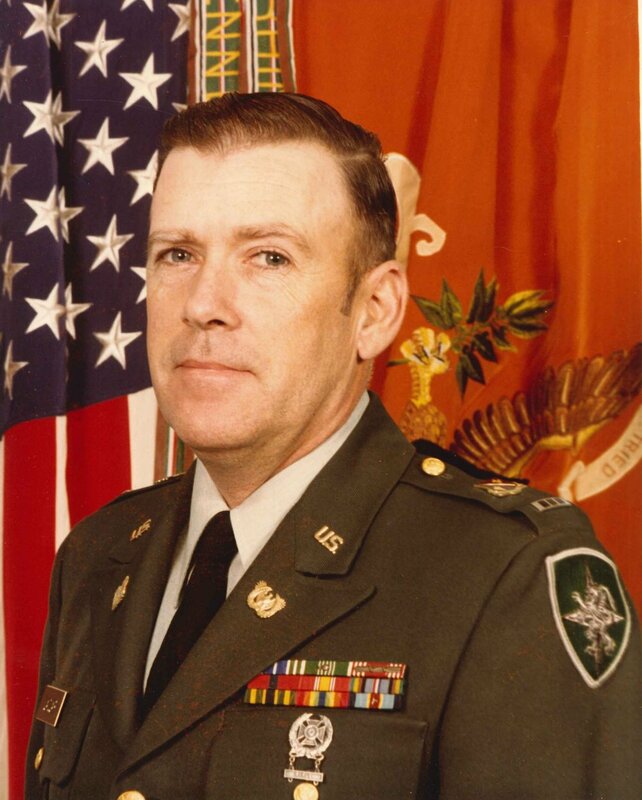 He was a veteran of the U.S. Army, serving from 1965-1967. After being honorably discharged, he went on to be a safety officer at Marcy and Raybrook prisons and later retired as an engineer at Sunmount DDSO. Carl was born in Tupper Lake as the youngest of three children; sisters, Maryann Savage and Rita Peets. He was pre-deceased by his father Rene Perth and his mother Deliska Sumer-Perth, his mother and father in law, Lorne and Mabel Vibert Pelno and brother in law, Mark Pelno. He is survived by his wife of 47 years, Janet Lee Perth, his eldest daughter, Connie Garman and her husband Michael, their two children, Isaac and Allison, his youngest daugher, Cristin Johnson and her husband Travis and the newest member of the family who will be born in January. Other survivors include, sister in law, Carol Rockwell and her husband Hank Quatro, brother in laws Larry Pelno and his wife Giselle, Joe Scungio, James Pelno and his wife Anna, Wayne Pelno and his wife Naki and Terry Pelno. There will be no calling hours at Carl's request. A graveside service with full military honors, is scheduled for 3 p.m. Thursday, September 27 at St. Alphonsus cemetery in Tupper Lake. A gathering will directly follow at the local VFW Post 3120, 196 Park St., Tupper Lake. The Perth family would like to extend our deepest gratitude to all of the staff at the University of Vermont Health Network, Champlain Valley Physicians Hospital as well as the University of Vermont Medical Center for their care and compassion in recent months. Lukas K Lapier of Tupper Lake, passed away Tuesday, September 18 at the Adirondack Medical Center in Saranac Lake. Born July 19, 1928 in Iroquois, Ontario, Canada, he moved to Tupper Lake as a child. He entered the U.S. Army on October 1950 and was honorably discharged in November 1952. Lucas had a family run taxi business in Tupper Lake for many years. He is survived by two daughters- Penni Dunning and Sandra Cea. sisters- Lola Wilson and Rita Martin and a brother Glen Lapier. Also surviving are grandchildren: Alana, Becki, Chad and David; great-grandchildren: Riley, Lani and Carter. Lucas was pre-deceased by his wife Mary E. Richardson Lapier and his son, Edward Lapier. There will be no services. Arrangements are with the Stuart-Fortune-Keough funeral home. 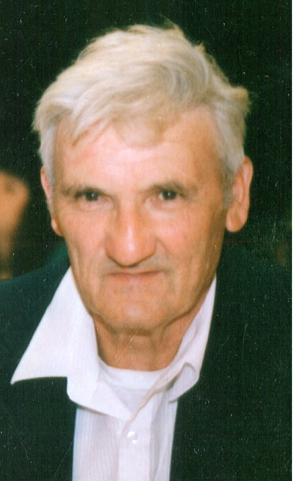 Ronald A Martin, 85, of Tupper Lake passed away Saturday, September 15 at his home. Born June 9, 1933 in Conifer, he was the son of Arthur and Myrtle (Blair) Martin. He was a graduate of Tupper High class of 1953. On July 21, 1953 he entered the U.S. Army and was honorably discharged June 1955. He married the former Edith Rossa in 1957. Mr. Martin worked for a time at Whitney Industries. In 1972 was hired for the Village of Tupper Lake. He retired superintendent of public works in 1997. He is survived by two sons; Glenn and Neal, four grandchildren; Logan, Trent, Kylie and Ethen. He was pre-deceased by his wife Edith and son, Stephen. A graveside service is scheduled for 2p.m. Sunday, September 23 at St. Alphonsus cemetery. On September 4th, 2018, Lois Gnann passed away peacefully. She enjoyed her last days in beautiful Adirondack weather at the home she built with her family. Lois loved living in the Adirondack mountains, moving to Tupper Lake in 1973 and climbing each of the 46 HighPpeaks shortly thereafter. She welcomed any chance to spend time outdoors; rain, shine, or snow, with her husband (Jerry), boys (Abe, Jake, and Eli), and a Labrador Retriever at her side! Lois was brought to this area not only for its beauty but also to pursue a teaching career at the Tupper Lake Schools. Many local residents will remember her as their teacher, their fellow faculty member, their children’s teacher and perhaps their mentor. In lieu of flowers or donations to Lois’ family, please contribute to the Adirondack Foundation Alice and Paul Grulich Memorial Scholarship Fund which meant so much to her (www.adirondackfoundation.org/give-now). CW4 (Ret.) Neil Roy LaClair, 77, of Cusseta, GA, passed away at his residence on Friday, September 7, 2018. A memorial service was held on Tuesday, September 11, 2018, at 11a.m. at the Chapel of Watson-Tante Funeral Home. Honorary Pallbearers will be Mr. Bobby Penny, Larry and Marilyn Hauck. The family greeted friends one hour prior to service time. Mr. LaClair was born October 28, 1940, in Sutton, VT, to Roy I. and Winona Niles LaClair. He began his military career in the United States Marine Corps and retired from the United States Army at the rank of Chief Warrant Officer 4. He served two tours in Korea and was given many medals and awards. Moving to Georgia from Germany 41 years ago, he was a member of the VFW and River Cities Model A Club. Mr. LaClair loved hunting, fishing, gardening, and animals. A collector of old things, he was especially fond of classic cars. While living in Tupper Lake, he and his brother, owned a Mobil Service Station. Mr. LaClair was Methodist by faith. In addition to his parents, he was preceded in death by his wife, Delite Jean LaClair. In lieu of flowers, memorials may be made to Columbus Hospice, 7020 Moon Road, Columbus, GA, 31909. Please visit www.watsontantefuneralhome.com to sign the online guest register. Watson-Tante Funeral Home was in charge of the arrangements. Services for Robert Pierson, Anne Keeler Pierson and Flora Pierson will be held at the United Community Church this Sunday, September 16 at 12:30 p.m.
Burial will follow in the Lakeview Cemetery.